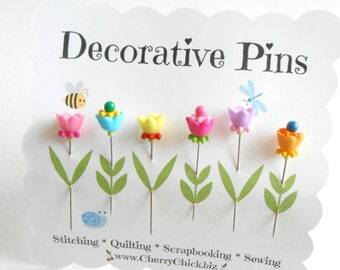 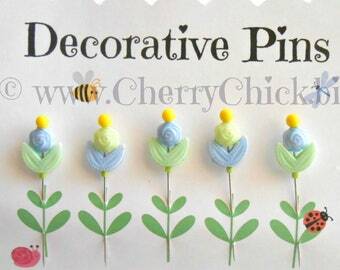 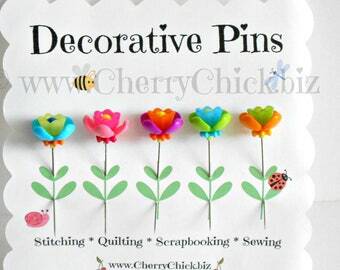 A Whimsical collection of rainbow eggs decorative pins to add pizzazz to your pincushion, thread catcher, decorate a hat or lapel, dress up a bulletin board, add interest to a scrapbook page, or handmade card. 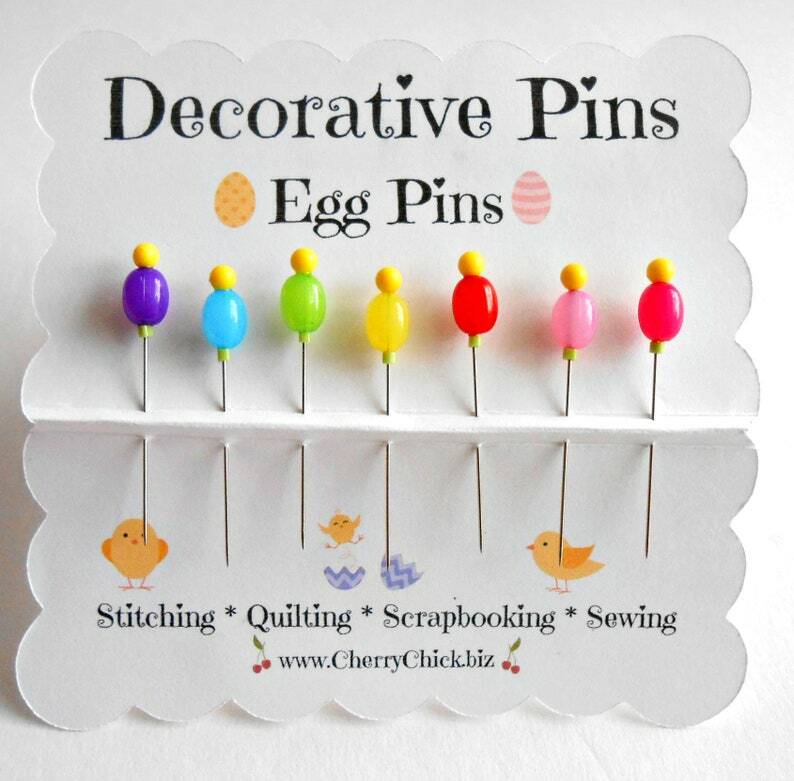 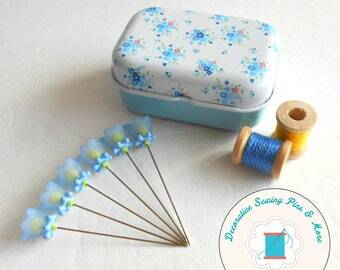 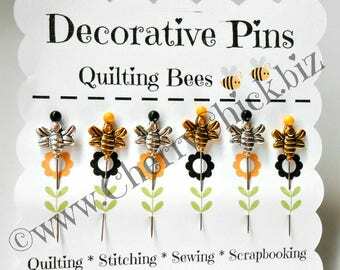 These cute little Artisan handcrafted oval shaped pins are sure to please any sewers, stitchers, quilters, scrapbookers or card makers. 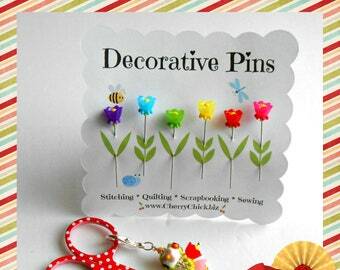 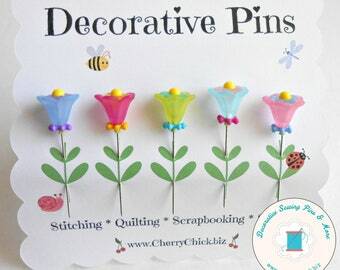 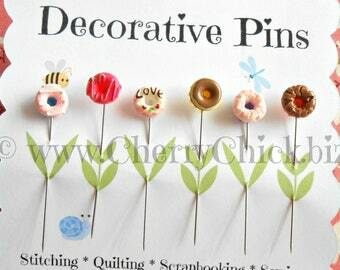 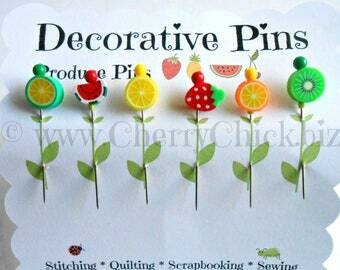 Use the pins on cork board or a bulletin board to display jewelry, pin a note, or hang a trinket.